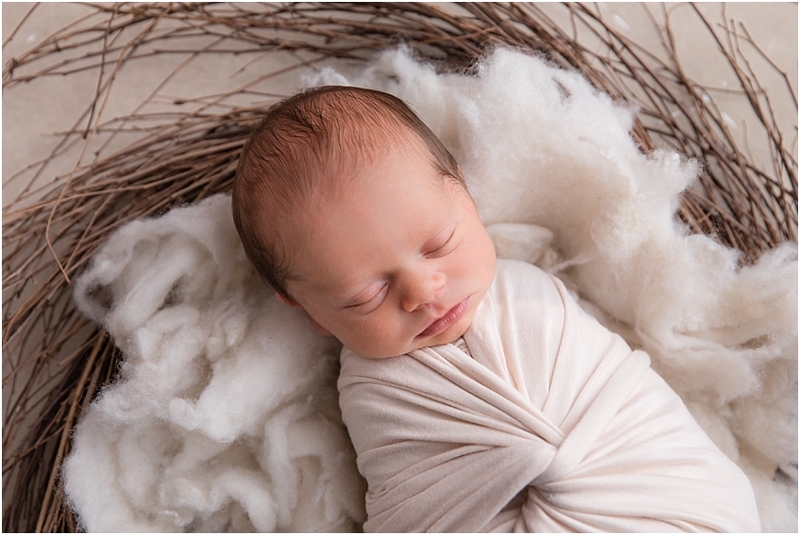 Little Tanner came into the studio to see me a couple weeks ago for his first photo shoot! We just did Kacie’s maternity session just about a few weeks before Tanner made his arrival. Tanner was 14 days old at his session and big brother Brayden came along for some sibling and family portraits too. He did amazing and was so cute with his new baby brother. Tanner also did awesome and slept through most of the session. AJ came to see me in the studio a couple days before his first birthday. 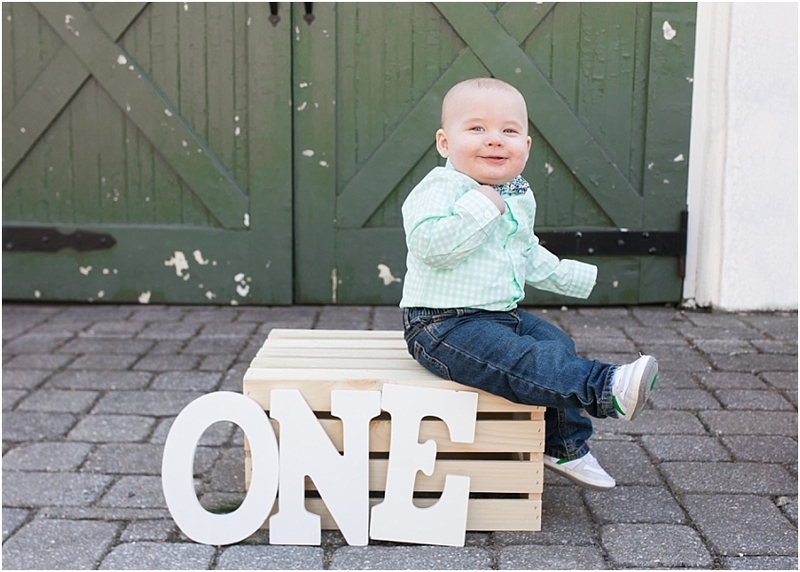 We had fun building a Little Man theme around his super cute 1st Birthday shirt. My son had the same theme for his first birthday so it’s very special to me. AJ wasn’t shy about jumping right into playing with his cake. His grandma made an adorable cake for him and he definitely seemed to find it quite tasty! He made quick work of destroying the whole cake. Cake literally flew all around the studio! AJ definitely wins for the most destructive cake session haha! 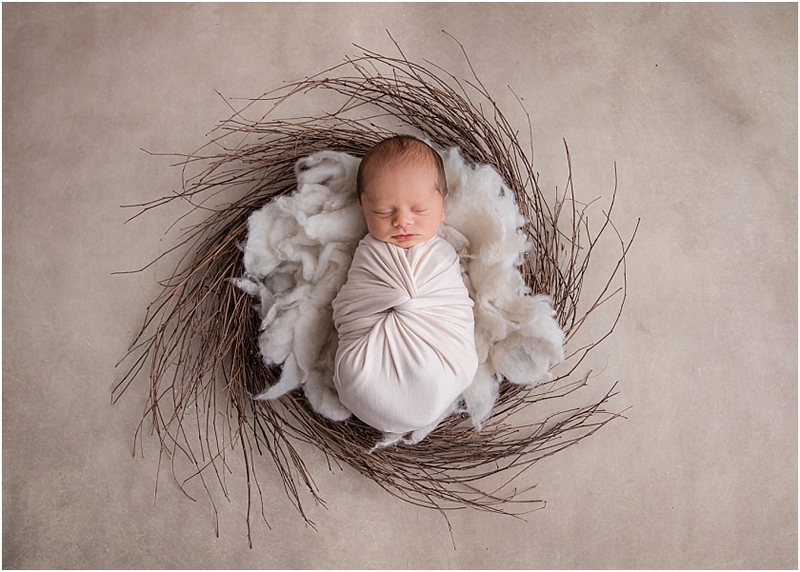 I can’t believe its been almost a year already since Salvatore came in for his newborn session! He is still absolutely adorable! The tease of warm weather this weekend has me thinking forward to Spring! I can’t wait to be out shooting in the beautiful sunlight again soon. Last spring I had a great time taking the Miller’s family portraits at Kirby’s Mill in Medford. It’s such a cute little spot that is packed full of great picture locations. I always love getting together with the Millers too! Their girls are so incredibly sweet. Their older daughter melted my heart when she took my hand to walk over to the next spot. It was such a great session full of so much family love! Happy Valentine’s Day! This weekend I did a Valentine Day session with the kids and it came out so cute. It was a fun way to kick off the year! 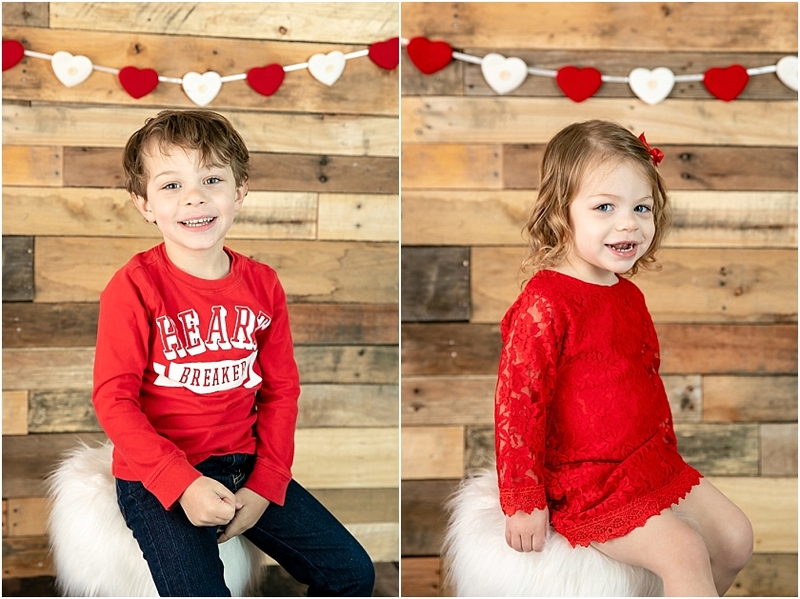 We did some portraits of each of them on a simple wood backdrop and then a super cute Valentine backdrop. The simplicity really let the kids shine and show off their beautiful smiles. If you’d like to join our next holiday micro mini sessions for St. Patty’s day head over to our specials page! As the winter cold keeps me cooped up inside I’m dreaming of the spring that is coming! 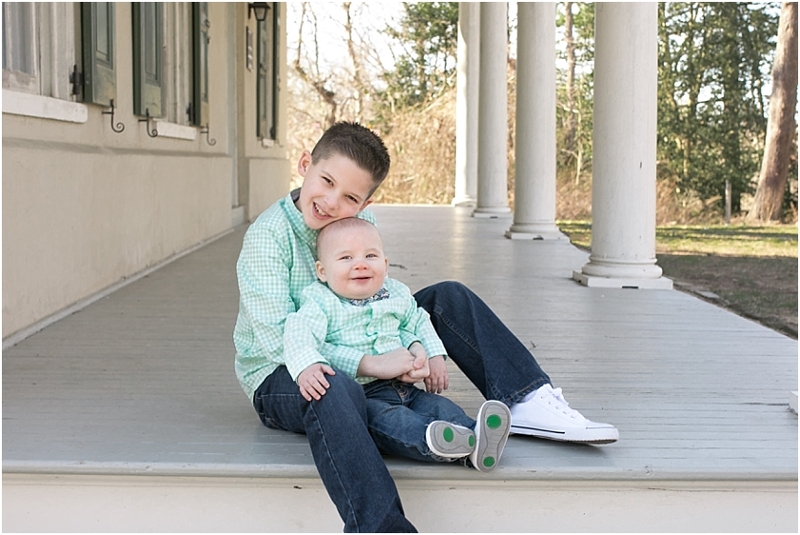 Last spring I took the Duvall boys spring pictures at Croft Farm. I love watching them grow up and they always do amazing! We did portraits of them together as well as individually. to give Mom and Dad lots of variety. We also fit in some first birthday portraits! Get ready for some cuteness overload! Brayden came to visit me in the studio for his first birthday and cake smash session. This session was super special and a bit emotional because Brayden is a special little boy. He was born early at barely 30 weeks and fought hard to grow strong over the last year. Mom and Dad wanted to incorporate his NICU picture and I was happy to make it happen! Brayden wasn’t really into smashing his cake but we still had a great time. 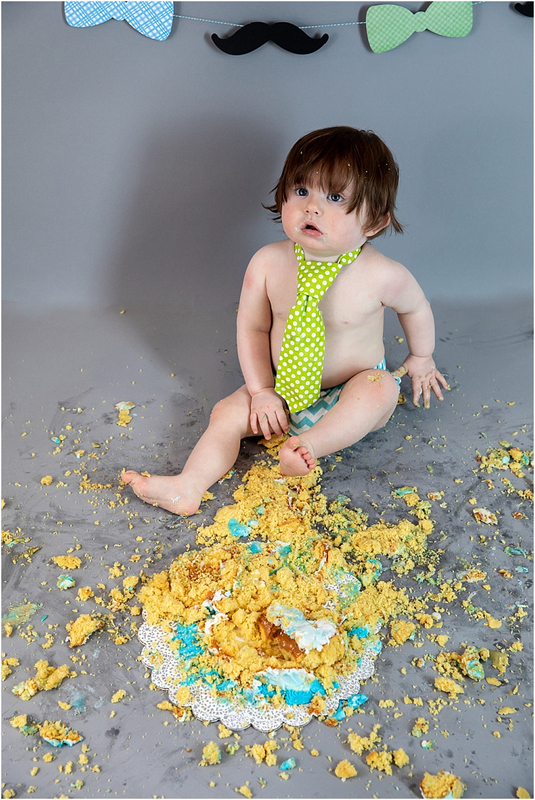 Brayden's 1st Birthday and Cake Smash session in studio by South Jersey Cake Smash Photographer Abbey Bradshaw. Mermaid themed First birthday cake smash session. Photographed by South Jersey Cake Smash photographer Abbey Bradshaw.